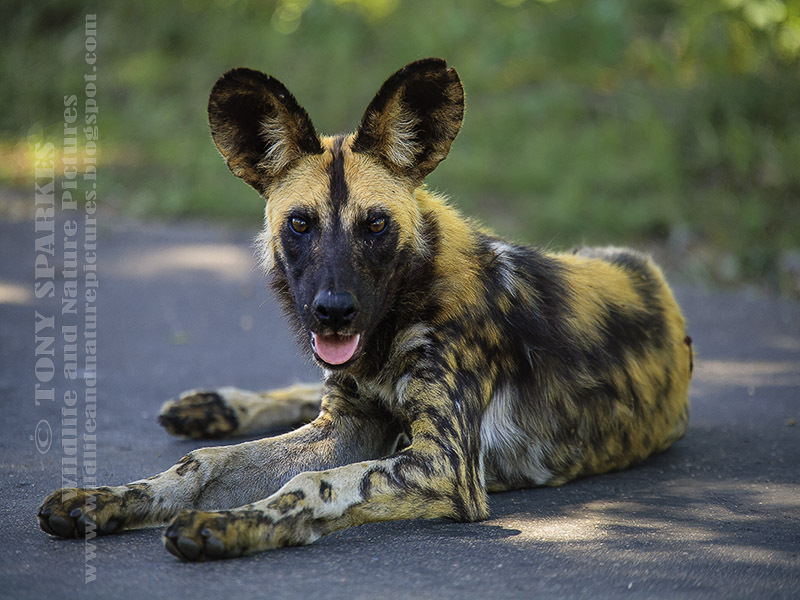 Africa and particularly South Africa is rich in its biodiversity and large carnivores, one of Africa's rarest and most endangered wildlife species is the African Wild Dog (Lycaon pictus) or Cape Hunting Dog, Painted Dog, Painted Hunting Dog, Painted Wolf, it is known by many names but the best is the African Wild Dog. A large carnivore it is known for its hunting skills in packs and the relentless pursuit of its prey. Although in saying that I found this one on its own on a tar road in South Africa's Kruger National Park.